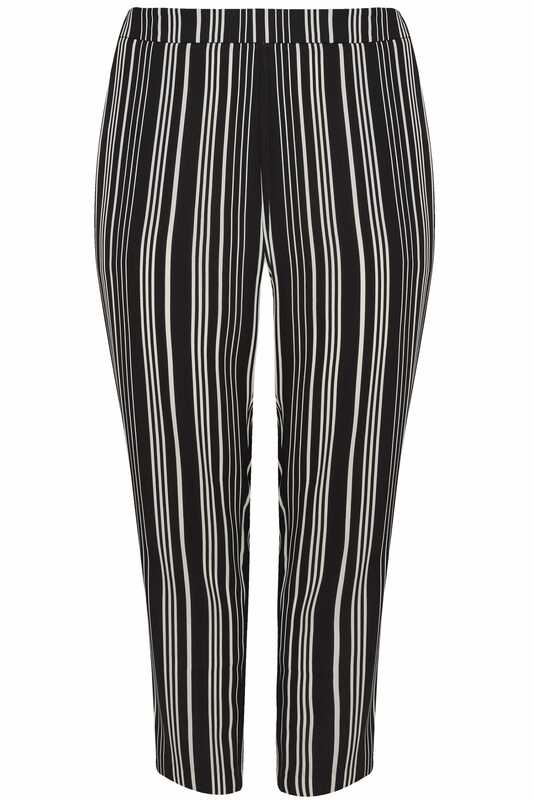 Inner leg length from (approx): 68cm/26.7"
Vamp up your workwear wardrobe with these stylish stripe trousers. In an on-trend tapered silhouette, they feature two handy side pockets and an elasticated waistband to the back for a comfortable wear. Easily styled, simply tuck in a white blouse and pair with black mules for monochrome office chic. 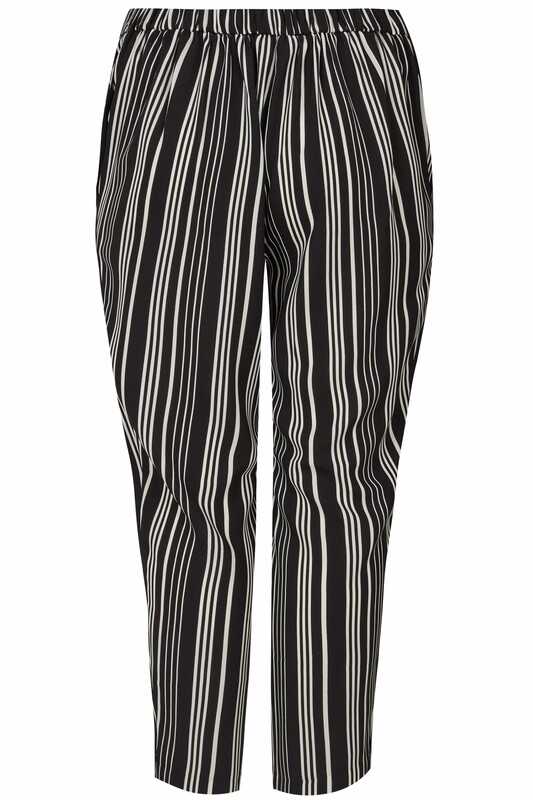 With a stylish stripe print, they will be your new desk-to-dinner favourites.